You are currently browsing the category archive for the ‘P31’ category. What do you tell yourself to keep going? What motivates you on a Tuesday? How can i refocus to be more persistent? in a way we talked about this at The Best Housegroup In The World last night… how do you become a YES person – no matter the circumstance you find yourself in. YES at work. YES in ministry. YES in good times and YES when its hard. YES when we’re feeling it and YES when we’re not. you know, when the bible says ALL it means ALL. everyone. everything. ALL. no buts, no excuses, no exceptions, no maybes or sometimes. ALL. 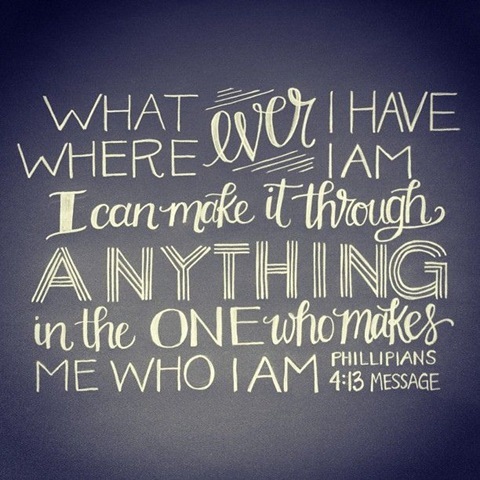 His strength is available in all situations and at all times. 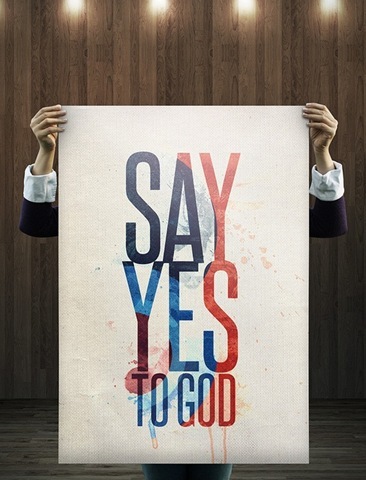 i can say YES because Jesus empowers me to say YES and to live YES. i can stick with it even in the storm because He gives me strength, all the time. #yestogod – Our yes stories won’t always be big. Sometimes surrendering in the small things brings the greatest blessing. How has God been glorified in your life through a small act of obedience? How many times do we write ourselves off based on our past? Based on our flaws? Based on our limitations? Based on our brokenness? Based on our circumstances? How many times to we disqualify ourselves because “we’re just a mum” or “just a WHATEVER”. there are no “just a-s” in the service of God! all around us are opportunities to say yes to God. Sometimes our offering – our life – our light – our opportunity – doesn’t seem like much – but God is at work in and to and through us. What can often look like lack or weakness can be used by God for His purposes and His glory. Wherever we feel too weak to fulfil our calling, our ever-redeeming God will make us strong! Yes is not just for momentous moments, but for our every day life. the mundane. in fact, i believe to God, all moments have the potential to be momentous! each opportunity to say YES is an opportunity to change the world, firstly my world and then the world around me. revival begins with me. with my yes. its those times, i’m glad i choose to say YES to God. and make me glad God forgives me in the times i let that nudge pass by me. i don’t want to miss an opportunity. i don’t want to write myself off because of the times i fall and fail. i am flawed. but God is good and great. Gracious. i am just the jar of clay. saying YES to my Saviour day by day, moment by moment. Privileged, humbled and grateful that God chooses to use ordinary broken people like me to do extraordinary things. i want people to meet Jesus. This weeks challenge is to blog about a specific time God spoke to you and you had a “say what” moment. As i sit in front of my screen there are lots of moments that flit through my mind. the time i moved to Auckland with no job or no where to live. the time i began street preaching on my university campus. the time we gave our “baby savings money” away. or to invite the lady mentioning on fb that they had just moved into the area and had kids starting at our school on monday around for a playdate. the time i felt to stand in front of a particular shop at our local mall and pray and talk for a woman in a red jumper. when i got there the shop didn’t exist on the mall map, but i knew if God had sent me there, then it was there. i was there but a minute before the woman in the red jumper, and two friends, rounded the corner. but the most recent and out there time for me is when i said YES to being a bible in schools teacher. Here in New Zealand we have bible in schools, for 1/2 hour in school each week. in state schools. earlier in the year i discovered that Evangeline’s bible teacher had gone to the same youth group in the South Island as i, but only a few years before. we had never met or crossed paths. he then, knowing i was a Christian, asked if i would like to be a bible in schools teacher. He had both Evangeline’s class and another year 3-4 class. Now, let me tell you something about myself. I am passionate about young adults ministry and women’s ministry. I love love love what i do. and i fill my days/evenings doing it. I have never felt called to children’s ministry. at all. in fact we joke about it in our church, because i am married to Tony, who is so passionate about children’s church and has been serving in children’s ministry since Noah’s Ark. okay, maybe not that long, but for maybe 20 years! but so not to be offensive, i replied “i’ll pray about it.’ read as: no thanks. as i drove home i felt God say “so you going to pray about it girl?” boom. busted. He so knows me. i felt that challenge from God to go, and to really pray about it. now when i am thinking about being involved in something, i pray about it and think about what my life would look like doing that. i began to picture being a bible school teacher. and then realized, i didn’t actually know what they did. which led me to the next step… observing a class. as i left the school that morning after sitting in on the class, the class which blew me away, the class which had my 3 favourite bible parables as the lesson (guess what they’re about… lost coin, lost sheep, lost son… i so love lost things!) i had a lot to think about. i don’t have time in my week. this eats into my rest time and rest time is important. i don’t do children’s ministry. i drove past a friend out walking. i u-turned, pulled in beside her and ended up sharing my heart. “make a list of the pros and the pros” she said. yes pros and pros. pro for doing it and pro for not doing it. but that got me in deeper… because what i line up is my need for rest and my busyness and insecurity vs salvation and children’s lives changed with the gospel. 3. is it being confirmed through messages I’m hearing at church or studying in my quiet times? yes it lines up with the Word of God. yes it is consistent with God’s character. yes it is completely beyond me. yes. yes. yes, it will make God happy. that is what i decided too. my life is not my own. i am God’s. God’s to direct and lead and use. 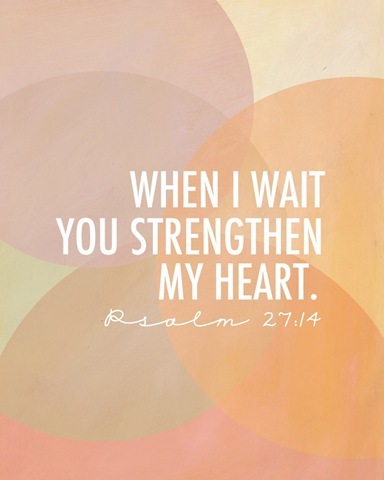 He will be my strength and shield. He will be my rest and inspiration. in case you’re wondering. i said yes to God. i am now a bible in schools teacher in training. it was definitely a SAY WHAT? moment in the calling but such a blessing to see things unfold. ‘Cause I… can’t thank You enough. my life is lived out in response to His great love for me. He loved me first, He saved me, poured out His grace. Rescued me, adopted me. And now this life i live i live in response to His rescue. i want to love Him with all my heart, soul, strength, energy, time, passion, purpose. what can i do for Him? what can i do to say thank you? i will live my life saying #yestoGod – i will live my life in relationship with Him, living in the reality of that love and kindness – i want to know Him and make Him known. In what i say, i what i do and most importantly, in who i am inside and out – let me Love you Jesus. i love lysa terkerust and her books – she writes in such a way that its like she is sitting next to me, cup of tea in hand, talking about her life and encouraging me, personally, to step into the adventure for my own life, to stretch past my own boundaries and fears into the plans of God, and to allow Him to chisel me, transform me and shape me. To be secure in His love. To live in His love. To be active in demonstrating His reality through my life. She laughs with me, hands me a tissue when i need it, she cheers me on when i’m having a win, and stirs my spirit to step out more. So when i saw that Proverbs 31 were doing a study from one of her books WHAT HAPPENS WHEN WOMEN SAY YES TO GOD i was on board. 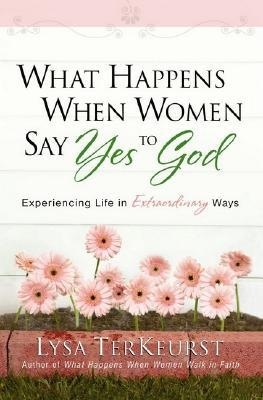 i want to be a Yes woman, a woman who surrenders and steps forward despite any restrictions into the plans of God, the divine moments where He moves unexpectedly and surprisingly, where He speaks and moves. i don’t want that to be my life story. i want to know God, see God, feel God, experience God. i want to know Him and make Him known. So the P31 study involves reading the book, chapter by chapter, along with the online study and questions and sharing opportunities on fb, twitter and blogging. The Proverbs 31 Online Bible Study offers real hope for real life. It’s flexible to meet any schedule. It’s the perfect Bible study for anyone who can’t attend a regular Bible study. Our group is focused on study, but we also have lots of fun. You will receive daily prayer and encouragement by being a part of this active community at Proverbs 31 Ministries. Share a time you caught a “glimpse of eternity” as you said yes to what God was asking you to do. After the weekender, on our way home, tony and I popped into the supermarket, to buy bread and milk, as you do after a weekend away. As we were packing our car up I noticed and was drawn to the elderly couple beside us and just really felt like I HAD to talk to the lady. She went and put her trolley back in the thingy and as she came back towards I stepped forward and said “hi, I’m Claire, and I’m a Christian and I just really felt that God wanted me to remind you that He loves you.” That was all I had. A start. An opening. She took my hand, leathery and warm. I looked at her and depended upon the capacity of God through me. 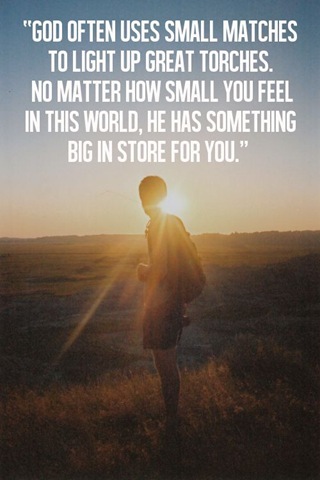 I continued, “and I feel that He wants you to know He is with you and sees what you’re going through at the moment. He loves you.” Simple. Nothing flash or remarkable. Until she squeezed my hand and her eyes welled up. “my best friend died this morning” she said. My eyes welled up. My heart stopped I am sure for a few beats. God is so spectacular. What a moment in time, so crucial and special and significant for God to speak to this woman. Right there in her hour of need. Spectacular. We have been positioned by God in our class, in our workplace, in our community interactions, in our families, as a beacon of light in the darkness. Every day there are situations in our normal routines that require us to be the light of Christ in darkness. I love how our pastor says “we are the senior pastors in our world.” I am the senior pastor in my world. You are the senior pastor in your world. You are the evangelist in your world. You can’t hire Billy graham to come have coffee with your workmates. You are there. I want to be someone that says YES in my life to God. to expand my boarders. to step out into the adventure.